Did you See a Whale? Let us Know! 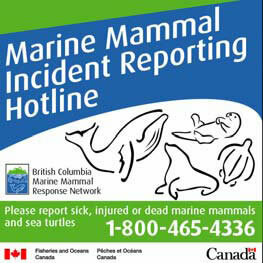 By reporting your cetacean (whale, dolphin, and porpoise) and sea turtle sightings, you are directly contributing to conservation-based research. Sightings are analyzed to obtain valuable information about species distribution patterns and aid in future recovery and management plans for species at risk.